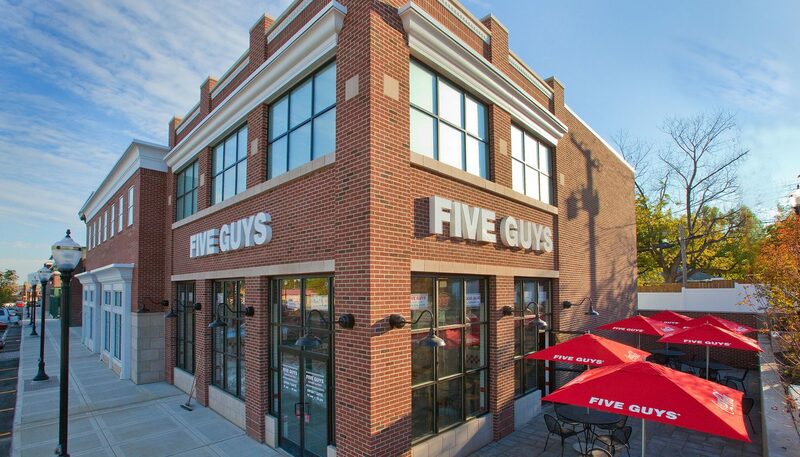 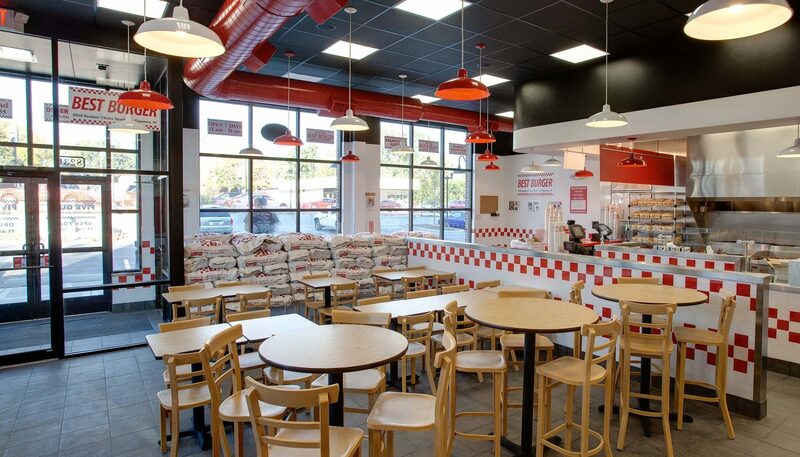 Five Guys franchisees turn to Curran Architecture for restaurants in Central and Northern Indiana. 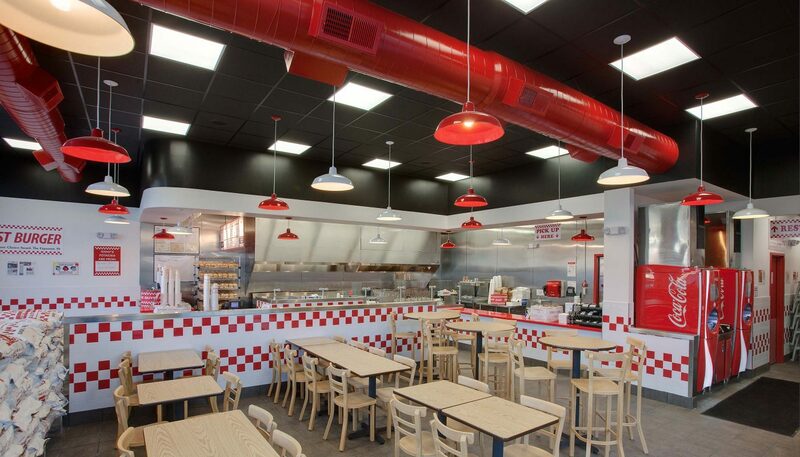 Curran Architecture has partnered with multiple franchisees of the Virginia-based fast casual restaurant chain with a cult following. 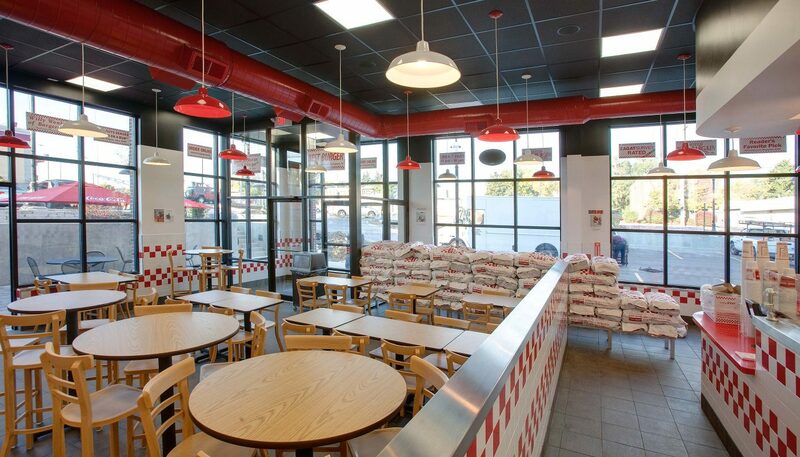 As Five Guys saw rapid franchise growth, Curran worked within the corporate design guidelines to develop new spaces featuring the chain’s iconic design elements, such as the single counter for purchasing, the sacks of potatoes used to demarcate the queuing line, and the clean, crisp white-and-red ceramic tiled walls.